The Life of a Camp Director….Part 2! By mid-June, our Senior Staff arrives and we begin to train our Leadership Team, Program Directors, and our Head Counselors. We spend time building our own sense of trust and community while we work on specific training goals. 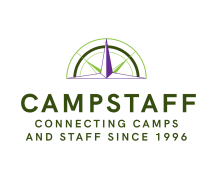 We also make final preparations for staff orientation – a 10-day staff development experience where each of our counselors learn about our campers, bond with one another and get to know the ins and out of our community. Finally, the cabin counselors and remaining specialists arrive. We ­then lead our full Staff Orientation & Training right up until the moment we’ve all been waiting for: campers’ arrival! During a typical camp day, we spend as much time as possible on campus with our campers and staff (rather than in the camp office, which is why we rarely answer the phone during the camp season.) Our primary responsibility – and our favorite thing to do – is to make sure everyone at camp is safe and happy. One of the most wonderful aspects of our job is that we never know exactly what each day will bring; we make ourselves available to the people who need us most at any given moment. That includes parents at home who have trusted us with the care of their children! We spend a fair amount of time each day speaking to parents in the evenings, after our campers are in bed. No two days at camp are ever alike, which is one of the most exciting and challenging parts of the camp directors’ lifestyle. Some days, we can spend hours outside with groups of campers, enjoying activities and working alongside our incredible counseling staff. Other days require more “behind-the-scenes” work, working on logistics and program planning. Often, we plan to spend our time one way, only to find that our attention is actually required elsewhere, whether that be a particular activity, a certain group of campers, or a set of parent phone calls that need returning. Regardless of where we are on camp, it’s a labor of love and something that we wouldn’t trade for anything in the world!